Since 2008, U.S. oil field petroleum production has increased 7 quadrillion Btu, with dramatic growth in Texas and North Dakota. Natural gas production has increased by 3 quadrillion Btu over the same period, with much of this growth coming from the eastern United States shale plays. Russia and Saudi Arabia each increased their combined hydrocarbon output by about 1 quadrillion Btu over the past five years. Comparisons of petroleum and natural gas production across countries are not always easy. Differences in energy content of crude oil, condensates, and natural gas produced throughout these countries make accurate conversions difficult. There are also questions regarding the inclusion of biofuels and refinery gain in the calculations. 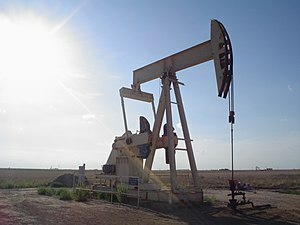 Total petroleum and natural gas hydrocarbon production estimates for the United States and Russia for 2011 and 2012 were roughly equivalent—within 1 quadrillion Btu of one another. In 2013, however, the production estimates widen out, with the United States expected to outproduce Russia by 5 quadrillion Btu. Glad to see the production. Now, if we can keep it from floating on top of the Gulf Coast waters, we will have a success on our hands.